Doing great work is often a matter of having the right equipment. For electricians and the techs who work under them, that means being able to analyze the quality of a home’s energy and the integrity of the circuits in its wiring. To get that job done, you need tools like a harmonics analyzer, and you need those tools to be sensitive enough to capture fluctuations and other events that might affect power quality in a building. There are quite a few options for an energy analyzer, and the equipment has been around for a while. Even older models with fewer features tend to be pricey, but that’s to be expected from specialized sensing gear in most industries that require it. Of course, if you don’t have the toolkit to make use of the full features of a device, it doesn’t make sense to invest in it, either. If you’re trying to decide between an entry-level unit and a real powerhouse of power monitoring, here are a couple things to think about. The biggest advantage to more sophisticated equipment lies in the data gathering, organizing, and analysis. If you’re looking for a device that will record and backup the recordings over wireless, that you can configure and monitor from another device, it will be expensive. If you want something that will log events reliably while providing you with feedback about the circuit integrity before monitoring starts, that’s quite a bit simpler, and it will still do the job. Neither is a bad buy, but if you’re looking to use those more sophisticated tools, then you’ll want to make the investment. 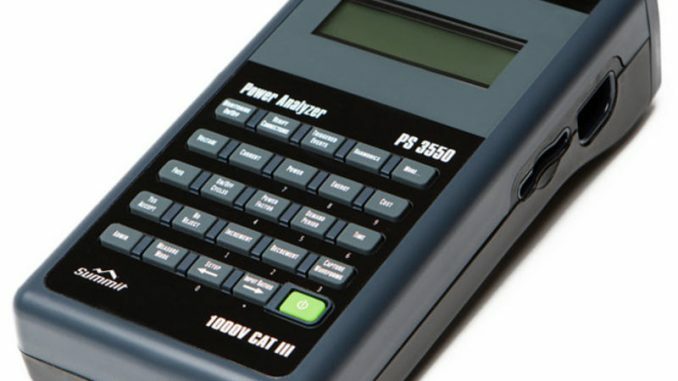 If you’re looking to contain your power costs or you’re providing a service to customers to do the same, the right power analyzer is very important. The U.S. loses $20 billion in power inefficiencies every year, and the cost is primarily paid by end users who wind up footing the bill for the portion of the energy lost to inefficiency. You can’t control the whole system, but you can make your home and office more efficient to reduce loss as much as possible. Get the equipment you need to do that job today.